Delivering pizzas, newspapers and phone books isn’t the only way to make money delivering anymore! And working for FedEx or UPS isn’t the only way to get paid as a courier either! With the peer to peer economy, now anyone can get paid to deliver stuff. All you need is a mode of transportation – car, bike, motor cycle, heck sometimes you can deliver on foot! 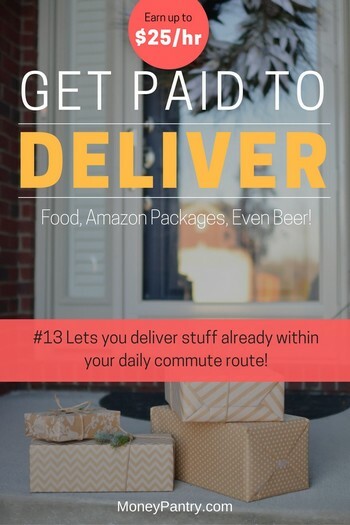 From food to alcohol or even packages for Amazon, there are tons of companies out there that will pay you to deliver stuff. Whether you want to get paid to deliver groceries, meals or clothing, there are tons of companies out there that you can work with. Below, we’ve outlined some of the best companies out there offering delivery/courier jobs. Why get paid to deliver? Making money as a delivery person has tons of benefits. One of the main advantages of it is that you can start without spending a dime. Like many legitimate work at home jobs that don’t require investment, you can do this using equipment you already have, in this case, car, bike or even a motor cycle. What’s great about courier jobs using your own car (or any other mode of transportation) is the flexibility they offer. With most of the companies below, you can set your own schedule, and choose to take on as many or as few deliveries as you want. So if you have a couple of days per week where you’re not particularly busy, then you can take on more orders. Whereas on your more hectic days, you can take on fewer deliveries. Plus, whether you’re out of a job and are looking for full-time work, or need a side job or just want to make a little extra cash for a vacation or to pay for something for the house, delivering stuff is a great option. The requirements for becoming a courier vary from company to company. Have access to a vehicle, like a car, bike or scooter – although some companies do allow you to make deliveries on foot! Each company lists specific requirements on their website. So check that out before you apply for any of these positions. Whether it’s a meal from a local Italian restaurant or a week’s worth of groceries, there are tons of on-demand food delivery companies out there looking for drivers. Below, we’ve outlined some of the best companies that pay you to deliver food. You’ve probably heard about Uber – it’s a taxi service that you can use from your phone. But since 2015, Uber has also offered a food delivery service called UberEATS. With this service, customers can get a huge variety of food delivered right to their home or office. You can work as an UberEats driver. All you have to do is deliver food from local restaurants to customers. You don’t have to prepare food or do anything else, other than pick up the food from the restaurant and deliver it to the customer. And, what’s great about UE is that you take delivery requests from within the UE app. 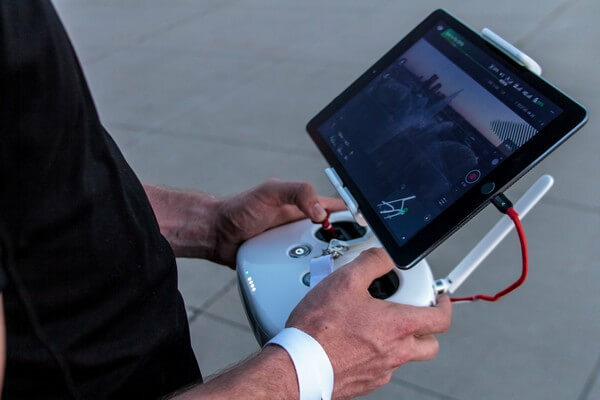 You can even use it to navigate where you’re going. We have a full review of working with UberEats. So we highly recommend that you check it out. How much do you make with Uber delivery? How many deliveries you make. UE pays you per delivery, like many of the other companies on this list do. But it doesn’t specify how much its drivers make. However, a few employees States report on Glassdoor that they make about $10 per hour. Another really great company that we’ve talked about before on MoneyPantry is Shipt. Shipt is an on-demand grocery delivery service. Customers can essentially give a Shipt shopper a grocery list and the shopper will purchase and deliver the groceries. You can get paid to be a Shipt shopper. You choose the orders that you want. Once you accept an order, you get a grocery list and an estimated shopping time. Handily enough, the app will also recommend a store for you, based on where the customer is located. You can set your own schedule and pick up as many or as few orders as you want. Of course, this company does differ a little from some of the others on this list. With Shipt, you don’t just deliver the groceries – you have to shop for them too. We have a full Shipt Shopper review, so we highly recommend you take a look at that to learn more about working with the company. How much do you make as a Shipt shopper? With Shipt, you get paid a base rate of $5 per order. Plus, you get 7.5% of the order total. Since Shipt deliveries worth $35 or more are free for customers, you’ll find that many orders you get will be worth more than that amount. Many Shipt shoppers report that they earn an average of $15 to $25 per hour. If the idea of getting paid to be a personal grocery shopper appeals to you, you may also like InstaCart. InstaCart is sort of like Shipt in that it pays you to pick up and deliver groceries from local stores. You can set the hours that you work, making this the perfect opportunity for you to earn extra cash in your spare time. Full-Service Shopper: You shop and deliver orders. In-store Shopper: You shop orders within a store. So, since you’re interested in delivery jobs, you’ll definitely want to go with the full-service shopper option. As a full-service shopper, you will need access to a car and a smartphone. Then, you simply shop for customers’ orders and deliver them. How much do you make with Instacart? With this brand, you get paid weekly. You can earn more if you work during peak days. How much you earn will depend on a variety of factors, like how many orders you take on. In this Quora post, an Instacart shopper/driver from Miami states that drivers make, on average, between $6.50 and $11 per hour before expenses. They state that drivers get $3.80 per order and 40 cents per item. Get paid to pick up food from local restaurants and deliver it to customers with DoorDash. As a DoorDash driver, or “Dasher,” as they’re called, you can set your own schedule. To be a driver for the company, you’ll need access to a vehicle and a smartphone. You can deliver stuff in your car and on your bike, motorcycle or scooter. You can even sometimes walk. How much do DoorDash drivers make? As a driver for the company, you earn a base pay and you get to keep all of the tips you receive. You should check out this article and this one for more information on the DoorDash pay rate. Grubhub is a company allows customers to order food on their mobile device or online from local restaurants. The company, which boasts more than 9.18 million active diners, hires people to deliver this food to customers. This company is active in both the United States and the United Kingdom. You must be at least 19 years old to become a driver, have at least two years’ worth of driving experience and have a smartphone. How much does Grubhub pay? Plus, you get to keep 100% of your tips. According to Glassdoor, though, the average Grubhub driver earns $13 per hour. Get paid to deliver food in your city with Caviar. Caviar is a food delivery service that delivers food from local restaurants to people’s homes and offices. You can work with Caviar as a bike courier or delivery driver. Choose to work weekdays or weekends or both, depending on your schedule. The company is open seven days per week, from 8 am – 11:30 pm, so there are plenty of times to choose from. 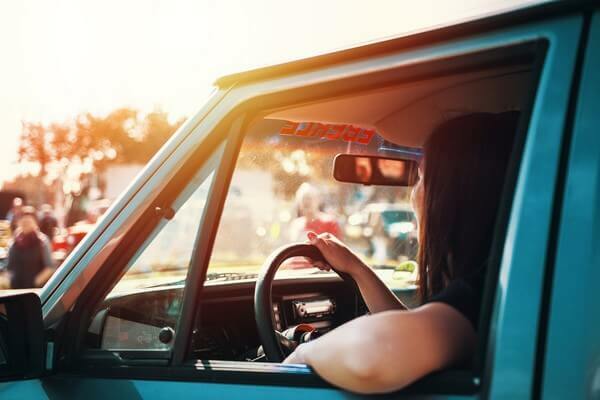 To become a driver, you must be at least 18 years old and have a minimum of two years’ driving experience. And, as most of the companies on this list require, you also need a smartphone. How much can you make as a Caviar courier? According to Caviar, you can earn up to $25 per hour. You get paid weekly, via direct deposit into your bank account. Earn cash delivering food to customers from local restaurants and fast food chains with OrderUp. OrderUp is another food delivery service, and it’s actually part of the Groupon family. You just need to apply online, participate in a phone call, undergo a background check and you’re good to go. How much do you make with OrderUp? OrderUp doesn’t explicitly state how much it pays its drivers. It does state, however, that drivers earn a commission on the delivery fee that OrderUp charges. And drivers also get to keep 100% of their tips. Payment is sent once per week, via direct deposit. Austin based company Burpy offers a same-day grocery delivery service. You can work with the company as a grocery courier part-time or full-time, depending on your needs. Burpy customers place an order online, you receive the order on your smartphone, and then you shop for the items and deliver them to the customer. To be a driver for the company, you have to be at least 18 years old and have a car. You’ll need a smartphone too. How much can you make delivering food for Burpy? According to Burpy, you can make up to $25 per hour. You receive payment via direct deposit and you can request a payout at any time for the deliveries you have made. Tapingo is a food delivery service that focuses on delivering to campuses. And, you could get paid to make these deliveries. You can make deliveries using your car or bike. Aside from a vehicle, you’ll also need to a smartphone. With this company, you can make up to $25 per hour and you get paid weekly. This is another company that allows you to set your own schedule. Aside from food, you can also get paid to buy alcohol and deliver it to customers. There are companies out there that allow customers to have booze ordered and delivered to them. And, they’re looking for people to carry out these deliveries. Check out the brands below and see if you’d like to make some extra cash delivering booze for them. Saucey is a company that delivers alcohol to customers, within 30 minutes. Yes, you can get paid to deliver alcohol! 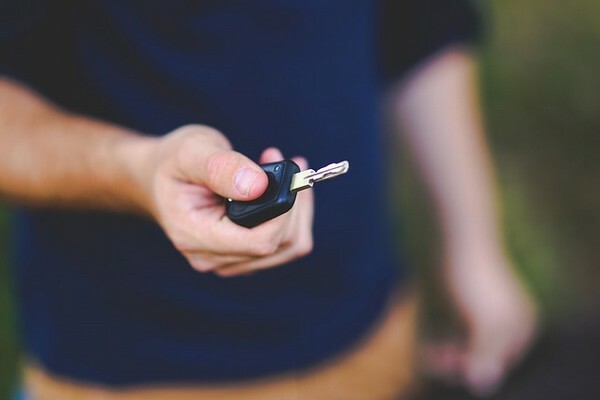 You’ll need a vehicle, like a car, a motorcycle or a bike. What’s great about Saucey is that you get to pick the shift blocks that you want, and choose a part of town or a certain neighborhood that you want to do deliveries in. This means that you can set your own schedule and exactly where you want to deliver. How much can you earn with Saucey? Saucey doesn’t state how much it pays its drivers. However, on Glassdoor, couriers state that they earn between $10 and $22 per hour. Minibar Delivery is another alcohol delivery service. Customers can get booze delivered to them within 30 to 60 minutes. And, you can earn cash for delivering it. Sometimes the company posts job openings for couriers on its career page. We link to this above. How much can you make buying/delivering alcohol for Minibar? Minibar Delivery doesn’t state how much it pays drivers. So you will have to inquire when you sign up. Drizly is a company that delivers wine, beer and liquor to customers’ houses. You could earn money delivering this booze. Unlike many of the other companies on this list, Drizly doesn’t have a dedicated sign up page for delivery drivers. But, much like Minibar Delivery, it does have a careers page. Check this page, which we link to below, to see if there are any openings currently available. Since Drizly doesn’t have a specific page for drivers, it doesn’t state how much it pays them. When an opening for a courier does come up, however, you can find out more information about the company’s pay rate. Okay, so with the companies above, you get paid to deliver very specific things. But, there are companies out there, like Amazon for example, which need couriers to deliver a wide range of different items. These items could be anything from widescreen TVs to espresso cups. Below, we’ve compiled a list of a few of the best companies that pay you to deliver stuff. And a plethora of other items. As a delivery driver with the company, you can set your own schedule. What’s ideal about working with Postmates is that you don’t need to have a car or another vehicle to make deliveries – you can walk in some cases. So if you don’t have access to a car or any of the other vehicles mentioned above, then working with Postmates is a really good option. Working for Postmates seems to be very popular. Most drivers really like working with Postmate as it’s evident from the driver reviews I read online. How much do you make as a Postmate? Postmates states that you can earn up to $25 as a driver. That’s a pretty good amount. You also get paid tips. Roadie is an unusual app. It describes itself as an “On-the-way delivery network”. You could earn cash for completing deliveries with Roadie. What’s great about Roadie is that you get to set your own schedule and you can deliver stuff in whatever vehicle you want to. You can also create a gig alerts, for the area where you’re interested in delivering to. How much do roadie drivers make? How much you can earn varies from delivery to delivery. But, you can easily scroll through deliveries and view the price of each one, before you deliver the item. When it comes to companies with a huge number of deliveries, Amazon always makes the list as a company with a staggering number of items delivered every year. And they do it good! No, as I explained in our long and truly detailed review of Amazon Prime, one of the benefits of paying for Prime is the free 2-day delivery. And to make that happen, the company launched Amazon Flex. This service helps them deliver packages even faster by partnering up with local drivers. As a driver, you can get paid to deliver Amazon packages. The hours are flexible, which is great! You can choose to schedule ahead or pick up any available block of time. Delivery opportunities are available seven days per week. So if you are looking to fit delivering stuff into your schedule, then this a really great option. How much do you earn on Amazon Flex? You can earn between $18 to $25 an hour. This is definitely a great choice if you’re looking for a good part-time or even full-time income. You can even track your earnings with the Amazon Flex app. PeerShip is a social delivery and shipping app. With it, Facebook users can request deliveries or list items that they want to ship. Each user offers their price for the service. Unlike the other companies on this list, PeerShip has a much more social element. It’s more designed for friends, neighbors and other people in your local community. Like Roadie, it’s an on your way delivery network. You plan to visit your local grocery store. Through PeerShip, another user states that they need a gallon of milk delivered to them. You get this milk for them and drop it off to them on your way back from your own shopping. The person pays you for doing so. You are at the dry cleaner to collect some of your clothes. Then a neighbor says that they have some of their clothes waiting to be collected at the same dry cleaner. They offer you cash to pick them up. So at the dry cleaner, you pick up your neighbor’s clothes, along with your own. And then you deliver them to the person on your way back. It varies from user to user. The person who needs an item delivered will put an offer out there. You can choose the offers that best suit your needs. With PeerShip, you get to keep 100% of the profits. You get paid automatically after you deliver an item. Payments are made via PayPal and you must have a minimum of $10 in your account before you can cash out. Favor is a company that delivers food, dry cleaning and a plethora of other items to customers. And you could get paid for making these deliveries. You can choose to work part-time or full-time as a delivery driver. As a driver for Favor, you could earn between $10 and $18 per hour. Plus, you get to keep all of your tips. You can also make extra cash by referring your friends to be drivers. Shyp is a shipping and fulfillment service company. Businesses can use the service, as well as individuals. The company occasionally posts job openings for couriers. Shyp doesn’t state how much it pays its couriers. So if you choose to apply for a position, then make sure that you inquire about the pay rate. Burro is an on-demand, same day delivery and hauling company. With your truck, you’re responsible for delivering everything from furniture from garage sales to items for businesses that need same-day delivery. And, you can view and select delivery requests straight from the brand’s handy app. You will need a full-size truck that includes a bed that’s at least nine feet long when the tailgate is down, is 48 inches wide between the wheel wells and has the capacity to hold items that are seven feet tall. But, don’t worry, if you drive a Tacoma, Colorado or car you can still work with the company as a driver helper. Just contact the company for more information. How much can you make driving for Burro? What’s great about this company is how much it pays. As a truck driver for Burro, you can earn up to $45 per hour! The minimum payment per delivery is $40. Plus you get to keep 100% of the tips you make. According to the company, some of its independent contractors make $1,600 per week! Deliv is a same day delivery service available in a number of places across the country (you can view the areas where the company operates here). You could become a Driver Partner at the company and earn cash for making deliveries. You just need to pick stuff up and drop it off. Own a car with air conditioning. Have a smartphone with a data and text plan. Have at least a year of driving experience. Be able to lift up to 50 pounds. With this company you get paid based on the time the delivery takes and delivery miles. The company will outline your hourly block rate in your contract. Each week, you will receive a statement of your earnings and you also get paid weekly. CitizenShipper is a peer to peer shipping service. It sort of works in a similar way to Roadie, where it matches people who need an item shipped with couriers that are driving in that direction anyway. A person who needs something shipped can place a listing for the shipment on the site. Then, divers can offer a bid for the shipment. You can become a driver for the company and deliver anything from small items to large items. Just bid on the deliveries you want and pick up as many or as few as you want. You receive email alerts when new shipments and bids are posted. How much can you make with CitizenShipper? How much you earn varies from delivery to delivery. This is because you get to put your own bid in for each shipment that’s posted. So, you can charge what you want, within reason of course. Grabr is a traveler powered delivery service, focusing on international peer to peer deliveries. With this platform, people who are traveling get paid to deliver items to customers along the way. It’s a great way to get paid while you travel! Shoppers can select the item they want from any online store and post a delivery request. You can browse these delivery requests and if you’re heading to the customer’s city, then you can make a delivery offer. How much can you make delivering for Grabr? As with CitizenShipper, at Grabr, you can make your own offer. So how much you get paid per delivery is really up to you. You get paid once you have made the delivery. GoShare is a moving, hauling and delivery service. If you don’t own one of those vehicles, then you could still work with the company as a GoShare helper. You will need a car for this role. You can find out more about this position here. How much can you earn with GoShare? As a driver for GoShare, you can earn between $47.52 and $71.52 per hour, depending on the type of truck or van that you have. Plus you get to keep all of the tips that you make. If you don’t own a van or a truck, so work as a GoShare helper instead, you can earn up to $33.12 per hour. You get paid via direct deposit. So, how much can you make as a delivery/courier? As you can see there are dozens of companies out there that will pay you to deliver stuff. But, you’re probably wondering; how much can I make? How many deliveries you complete. But, there is a real earning opportunity here. Delivering stuff can make a great part-time or even full-time income. This person on Quora states that as a DoorDash driver, you can make $20 per hour – this is a pretty good amount. So if you were to put in just five hours per week, you’d have an extra $100 per week. Amazon, on the other hand, pays up to $25 an hour. So if you worked 10 hours per week with Amazon Flex, you’d earn $250 per week! As you can see, there’s a real earnings potential here. Getting paid to deliver stuff is a great way to give your finances a bit of a boost. What’s great about delivery jobs is that, for most of them, you get to set your own hours. So if you work early shifts, and you want to make a bit of extra cash on the side, then you could pick up a delivery order in the evening. It’s a very flexible way to make money. This means that whether you’re in need of a new job, looking for part-time work, or just want to make a bit of extra cash for an upcoming vacation or purchase, making cash delivering stuff is a great option for you. So consider working with one of the companies above. Rent Your Car for Cash & Earn Up to $100 a Day: Would You? Get Paid to Test Video Games (up to $100/Hr): Developers Like Nintendo & Big Fish Games Are Hiring Now!